I once had a friend that ask me how I could possibly make a living by making pressure vessels, implying there can’t be any demand for such products. From an outsiders view he didn’t really know what a pressure vessel was or what it really did. I was amused by his comment because I knowingly realize that Pressure Vessel’s certainly lack any kind understanding by the general public, but the need, and application for pressure vessels is certainly in high demand. I imagine most people must think this is really a quirky business but don’t really know what pressure vessels are, what they are used for, and how their application is important to our daily lives. As long as there is a need for petroleum products, natural gas, heat, and cooling there are a network of pressure vessels that are necessary to keep our infrastructure safe and operational. Likewise, pressure vessels are used in cosmetics, pharmaceuticals, breweries (yeah beer), food processing, water treatment, and countless other applications that enhance our daily lives. In fact, any component, piping, or tank that is designed to hold 15 psi or more is subject the guidelines and compliance of the ASME code for boilers and pressure vessels. The American Society of Mechanical Engineers (ASME) has set the standards for pressure vessel design and manufacturing that has enabled our country’s infrastructure to become a complex and vast network. While this is nothing short of a modern marvel it is truly remarkable how the ASME guidelines have kept workers and the public safe from the explosive high pressure gases. In fact, the ASME standards have proven to be completely effective as long as the code is followed by everyone who has ASME certified components. Likewise, it is scary to hear about explosions, fires, and other catastrophic events in the oil and gas industry as well as commercial boilers. These failures almost always occur when an operator of the equipment is either too lazy to follow code or is ignorant about the effects of not following ASME guidelines. Recently, I heard about a repair on a Government owned and operated boiler (in an ASME compliant state) that had overlooked using an ASME qualified shop for more than an decade. This repair required an “S” stamp to perform the work, but upon inspection there had been no less than ten previous repairs performed by a non-qualified company. This was alarming for a few reasons. First, the state was failing to oblige by their own guidelines. This was a public hazard and a huge liability for the State, the licensed boiler operator, and for the welder who did the repairs. 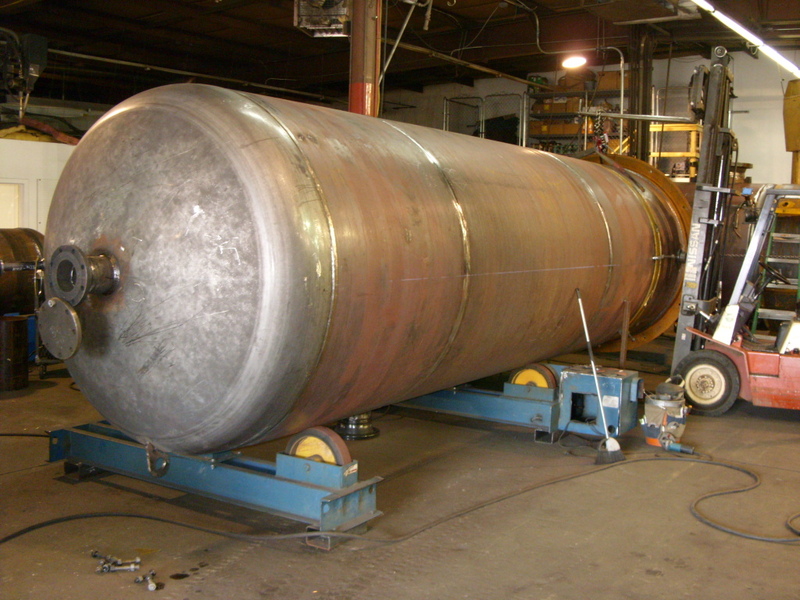 It is imperative to any repair on an ASME component (boiler, pressure vessel, heat exchanger) that such repairs are performed by a certified welder by a qualified shop. In other words, the company performing such repairs, at a minimum, must have a National Board “R” stamp in good standing. Further, the repairs must be performed in compliance of the applicable code as designated by the ASME and NBIC code guidelines. It is alarming to see States that designate compliance to code construction fail to recognize the necessary steps to keep their own equipment in compliance. What does this mean to the average person? Not much to be truthful. However, to anyone that has process equipment it is absolutely imperative to recognize the importance code compliance has on the safety of those aruond us. The ASME helps the global engineering community develop solutions to real world challenges. Founded in 1880 as the American Society of Mechanical Engineers, ASME is a not-for-profit professional organization that enables collaboration, knowledge sharing and skill development across all engineering disciplines, while promoting the vital role of the engineer in society. ASME codes and standards, publications, conferences, continuing education and professional development programs provide a foundation for advancing technical knowledge and a safer world. Therefore, the next time you fire up your gas grill (you can verify your propane tank is ASME / NBIC certified) remember that countless hours of engineering, design, review, materials and code compliance, nondestructive testing, and third party inspection have gone into keeping you and your loved ones safe, even if you don’t know what a pressure vessel is.